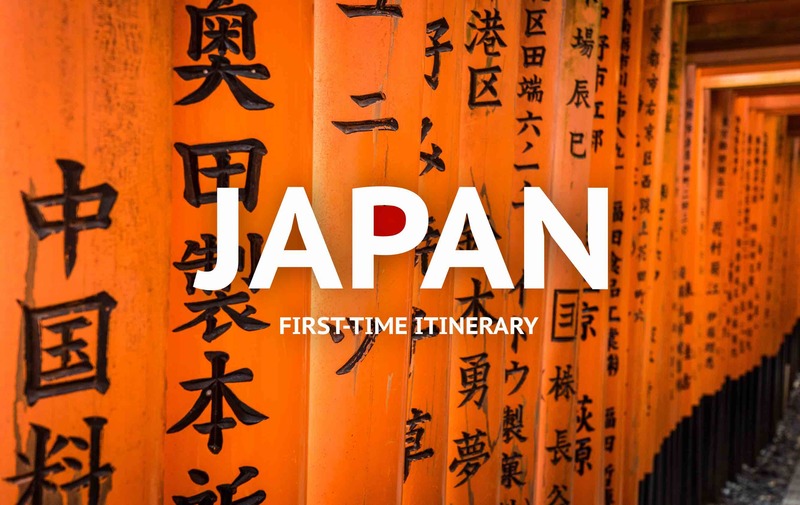 📅 November 2018 April 9, 2019 by Bruno B.
Japan is a fascinating and unique country, so there is a lot to wonder about when planning a trip. These Japan travel tips are bound to give you extra peace of mind on your travels. 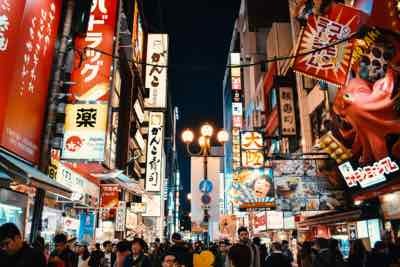 Here’s what you need to know before your Japan trip! Learn how to behave on certain occasions and to respect the local Japanese culture. What to order in restaurants. How to move around efficiently. And many other practicalities of the modern traveler to Nippon. These are 34 Japan travel tips to help you make the best out of your stay! Public transportation is super efficient. A JR Pass can be a great buy. Pick the best areas to stay in cities strategically. Why do Japanese wear surgical masks on the streets? Convenience stores are really convenient. It’s an unique place to shop. Hold on to your garbage. You won’t hear a no as an answer. Almost any time is a good time to go. Grab some food in an izakaya. Venture out of the cities and find amazing nature. The best ramen of your life is here. A trip to Japan won’t necessarily break your budget. Learn the basic etiquette and customs. You can get away with English. Learn some basic Japanese words. You can get templed out. Make use of luggage forwarding services. Japanese gardens are something else. Get lost in a 100-yen store. Think twice before going to an animal café. Going to the toilet is a life-changing experience. Ready to enter the fascinating parallel world that is Japan? Japan is still very far away from being a cashless society, so the first thing to worry about is money. Exchanging currency doesn’t yield the best rates, especially on those sketchy airport booths. Withdrawing money from ATMs directly is a better option, but not any bank. Currently, the one with the best rates/fees is 7-Bank (7-Eleven’s bank). If you’re arriving at Narita Airport in Tokyo, you can find a 7-Bank ATM inside a 7-Eleven store on the departure floor (4F), next to the restaurant’s area. Pro tip: An IC Card can technically be used as a debit card in many stores, vending machines and restaurants throughout Japan. Also make sure you have a Revolut card, saves money on payments and withdrawals. 2Public transportation is super efficient. 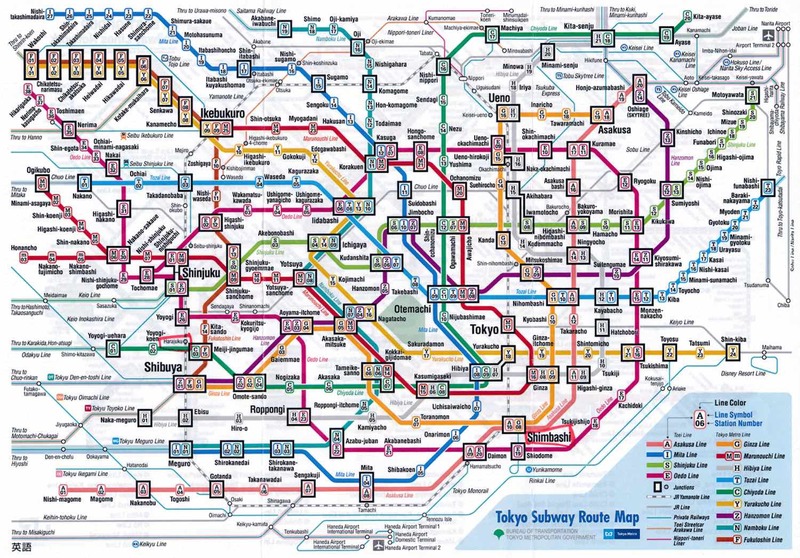 It’s easy for anyone to get overwhelmed with metro and train systems in Japan. There are spider webs less complex: we’re talking about 150 lines and 2,000 stations of overground and underground rail in Tokyo alone! The good news is once you figure it out how to get around, it’s amazingly efficient. For journeys inside the cities, the fare is calculated depending on the length of your trip. I recommend getting an IC Card to avoid these calculations every time you board the subway. Instead, the fare is discounted automatically once you tap the card on the reader when you’re going out of each station. If you’re traveling long distances with the incredible country’s rail network, JR Pass can be a time and money saver. Make sure you also download Hyperdia for your phone. This app is not exactly a UI delight, but has detailed train schedules and even a useful filter “JR Pass” to find the best trains that fit your itinerary. Don’t get lost in the subway madness! 3A JR Pass can be a great buy. Emphasis on the can. Every travel blogger out there will tell you to buy a JR Pass through their affiliate link no matter what. The reality is: it depends. If you’re planning to travel around the country like me, a 2 or 3-week JR Pass can save you time and money. 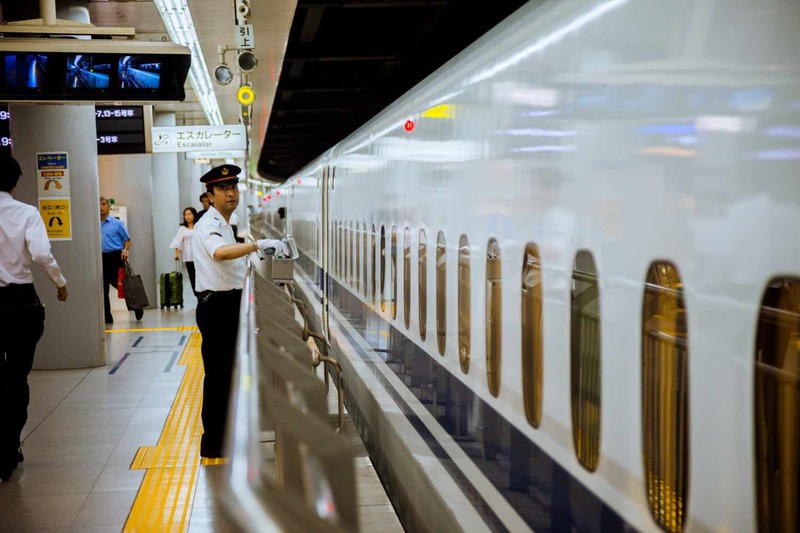 It’s super convenient and will give you unlimited access to (some types of) Shinkansen and JR-branded trains, buses, and ferries. 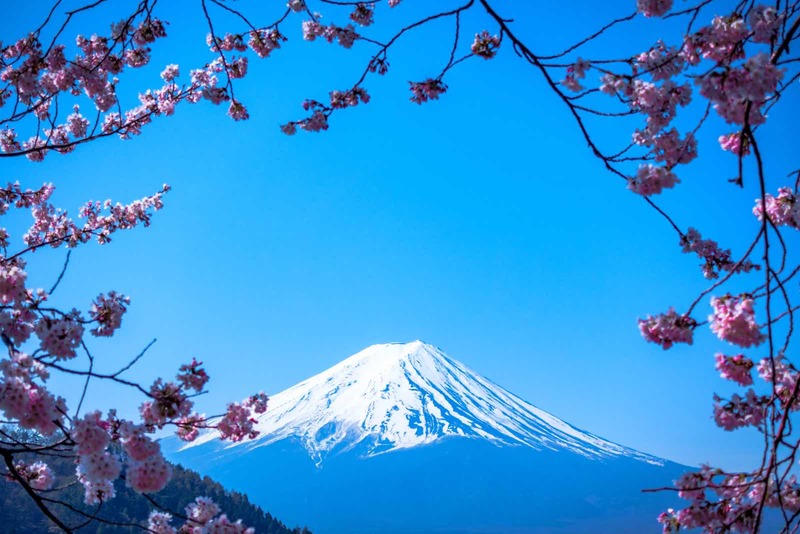 However, if you’re staying in one region of Japan only or planning to visit just a few places, a region-specific pass or even individual tickets can be more than enough. This tool can help you understand in what cases does it pay off. If you decide a JR Pass is a good option for you, buy it through here! A Japan Rail Pass is a pass available for travelers only that allows you to move around Japan hassle-free in trains, buses, and even ferries. Choose between a 7, 14 or 21-day pass. The passes are costly, but if you look at prices of individual train tickets you’ll understand they can easily save you money with just a couple of trips. As of 2018, you can buy your JR Pass in some stations in Japan but it will be more expensive. I recommend to buy it online before your trip and get them delivered to your home address or hotel in Japan. In any case, you’ll need to activate it in a train station when you arrive in the country. All aboard the bullet train! 4Pick the best areas to stay in cities strategically. Picking a smart location to stay can literally save hours in getting from point A to point B. To be honest, anywhere on the circular JR Yamamote Line is a good bet, as you can get to any area of the city rather quickly. 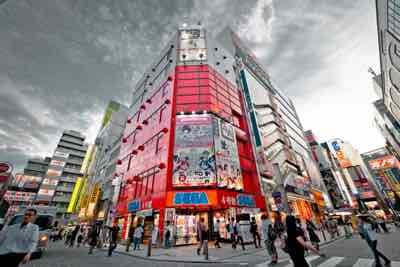 Shinjuku and Shibuya are popular areas to stay in, with a lot to see, eat and do. Ginza and Tokyo Station are extremely convenient transport-wise but lack the fun factor in my opinion. The area around Nishiki Market is definitely the most convenient to get to the major attractions of Kyoto. You’ll also be in walking distance to hundreds of malls, bars, shops, and restaurants. 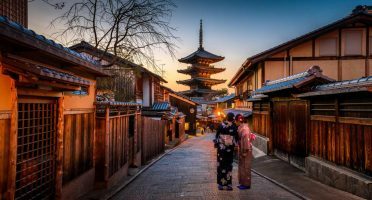 However, if you want a much more unique experience amongst well-preserved architecture and century-old traditions, Gion – the famous Geisha district – is the place. Plus, it’s not every day you get the chance to bump into an authentic geisha and her maiko on the way to your hotel. Umeda is more business-y, but with great food options too. It’s also close to some sights and it’s more strategic for shopping. Be careful though, I got lost twice on the HUGE underground malls! Umeda was where I stayed, but to be honest, either is fine. 5Why do Japanese wear surgical masks on the streets? Before going to Japan, seeing people with surgical masks made me a bit uneasy. Eeewww, poor people! They need to wear masks because of the intense pollution and diseases, what a terrible place to visit! Turns out it’s quite the opposite: Japanese wear these masks to prevent allergies (i.e. pollen) or to avoid that their germs infect others when they’re sick. This, my friends, is art. I might be biased here because Japanese food was already amongst my favorites in the world, but I’ve found eating out in Japan to be an absolute wonder. Firstly, the amount of restaurants is in-cre-di-ble. Customer service is top-notch, the quality of ingredients and the way they’re prepared is something they care about a lot and let’s not even talk about clean they are. The standards are so high I honestly think it’s hard to have a “bad meal” in Japan. Here’s a non-exhaustive list of the foods to try in Japan. Gyozas – Crispy and golden brown on the outside, juicy on the inside. Pork is the standard, but shrimp and veggy are my favorites. Japanese Curry – tried this in Coco Ichibanya in Tokyo. Delicious going in, not so pleasant going out. Okonomiyaki – typical from Hiroshima, where is served with noodles, this is a Japanese savory pancake with many different ingredients. Ramen – wheat noodles served with toppings like seaweed, menma and green onions in a meat or fish-based broth. Can be flavored with miso or soy sauce. either in hot broth (as a soup) or cold, with a dipping sauce. Sushi – pretty sure you know what this is. Takoyaki – deep-fried dough in shape of a ball with minced octopus inside. Usually served with bonito flakes on top. Tempura – deep-fried vegetables or seafood. Did you know this technique has Portuguese origin? Tonkatsu – deep-fried breaded pork cutlet. 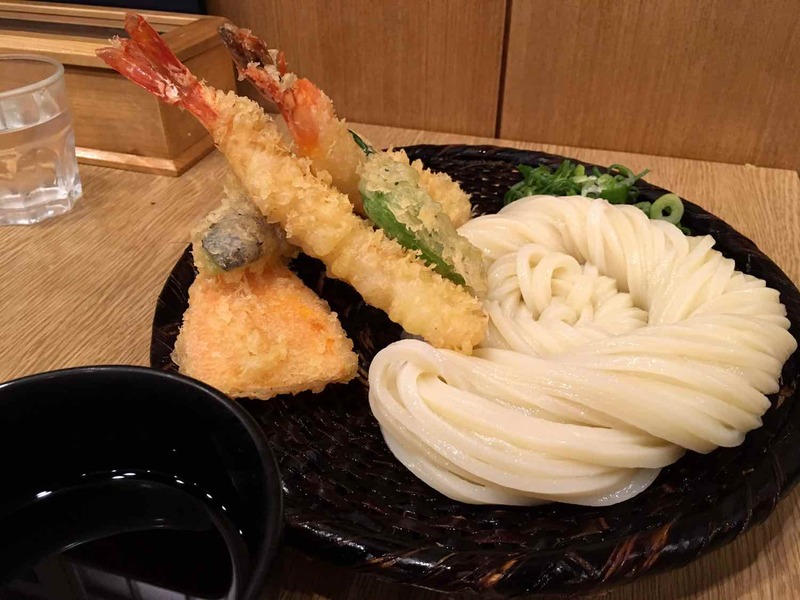 Udon – the thick version of wheat noodles, usually served as hot noodle soup. A (very tiny) sample of the ready-to-eat assortment in a 7-Eleven. 7Convenience stores are really convenient. This is one of the things I love about Asia: there’s always a convenience store nearby, open 24 hours/day for whatever random item you’re in need during your stay. There are three main stores in Japan: Lawson, Family Mart, and 7-Eleven. 31% of the worldwide stores of the latter are here. They’re incredibly similar on the inside, selling everything from cookies to face masks, from cookies to underwear. The highlight here is the food though: from small snacks to delicious ready-to-eat meals and everything in between. Sushi, onigiri (rice balls) and full bento boxes although I personally recommend the egg sandwiches! Guys, this one is important. Do not – under any circumstances – tip in Japan. It’s considered rude. No matter how great the food or exceptionally good the customer service is. To ask your bill, simply make an “X” sign with your index fingers. 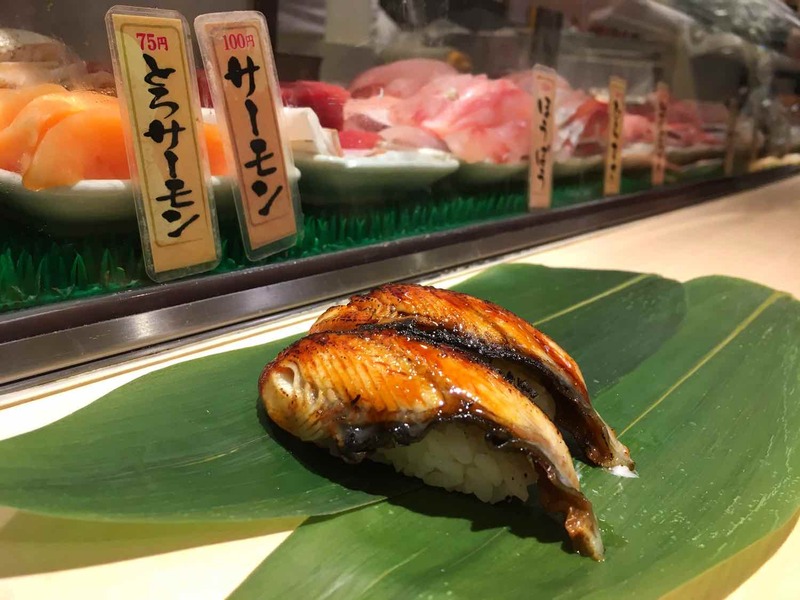 Beautiful piece of unagi (eel). To my surprise, sushi is NOT the most common food you can find there. That would be ramen. Especially if you get out of the big cities, sushi is really not that common and treated as a more premium meal. The major difference of sushi in Japan is in 1) how fresh are the ingredients 2) the experience you can get. The fish-to-rice ratio is quite big, with several different types of tuna to choose from. Plus – and this is what I think it makes it special – you can find places where sushi chefs make the rolls per order, right in front of you. All for the price of an average meal in Europe or US. Unless you have money to spend in a luxury high-end experience, the best sushi places are tiny, with limited seating where you ask directly the chefs what you want and they make the pieces in front of you. That’s the case of Standing Sushi Bar in Tokyo. Still very acceptable for western standards, but some levels below in the quality scale, try a bullet train sushi. You order through a tablet and the food comes in cute bullet train platforms. No contact with humans. Futuristic and incredibly cheap. There are many different types of tuna, but fatty tuna will rock your world. Sashimi is only eaten with chopsticks but it’s acceptable to eat nigiri with your hands. Only the fish part should be dipped in the soy sauce. Green tea – cold or hot – is often complimentary in sushi restaurants. First time in Japan? Know where to go and let me help planning a memorable trip! Like in other places in Asia, smoking on the streets is forbidden. When you’re outside, make sure you go to a designated smoking area, usually next to big buildings, shops or train stations. Smoking outside these areas is extremely disrespectful and one of the biggest offenses you can do in Japan. On the other hand, in some places smoking inside is allowed, such as bars, specific cars of bullet trains or even restaurants. 11It’s an unique place to shop. 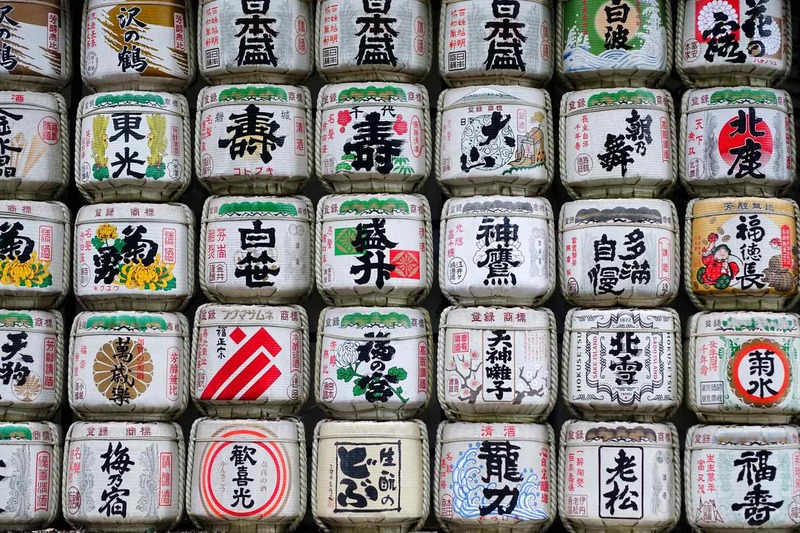 Let’s put it this way: there’s no shortage of ideas to buy cool souvenirs in Japan. Gadgets – particularly DSLR cameras or anything related to video games – are excellent buys too. And don’t miss a 100-yen store! Don Quijote – the wackiest department store I’ve been. Anything you can imagine, from drones and gardening supplies to sweets and phone cases. Great place to find weird Kit-Kat flavors. Muji – house supplies and furniture with the slick and minimal Japanese style. Tokyu Hands – a more sophisticated version of Don Quijote, with the same random assortment of items. Bic Camera – massive department store dedicated to all sorts of electronics and gadgets. Super Potato – a heaven for lovers of retro games in the Akihabara district in Tokyo. Uniqlo – simple and slick clothing for men, women and kids. 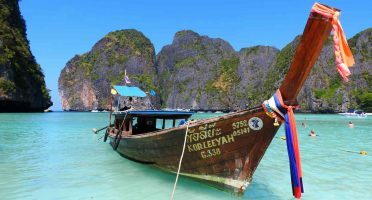 As a foreigner, you can apply for a VAT refund (8%). 12Hold on to your garbage. Japan is a SUPER clean country. And when I say clean, I mean immaculate. Thus it’s counter-intuitive that such impeccable cities have so few trash cans. But it’s true – I found myself holding trash with me for hours before I found a place to put it. This happens because there’s little garbage in the first place. When locals are walking, they don’t smoke or eat so there’s no need for bins. In any case, if you find yourself with the odd piece of paper or plastic, the quickest way to get rid of it is inside a convenience store. Heading back to the 17th century, when Japan was enclosed in the Edo period, ryokans are traditionally Japanese inns where guests sleep on tatami mats rolled onto the floor. Most ryokans serve a Japanese set breakfast and/or dinner and have communal bath facilities, including private onsen (hot spring baths) where you’re enter fully naked. 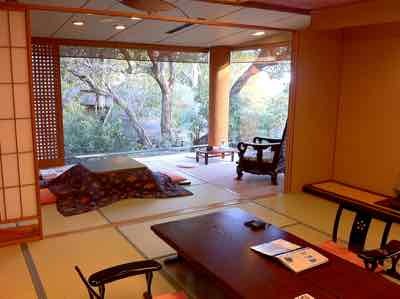 Staying in a ryokan for at least one night is a must-have experience in Japan. I stayed in charming Sumiyoshi Ryokan in Takayama and it was one of my most memorable experiences of the whole trip. 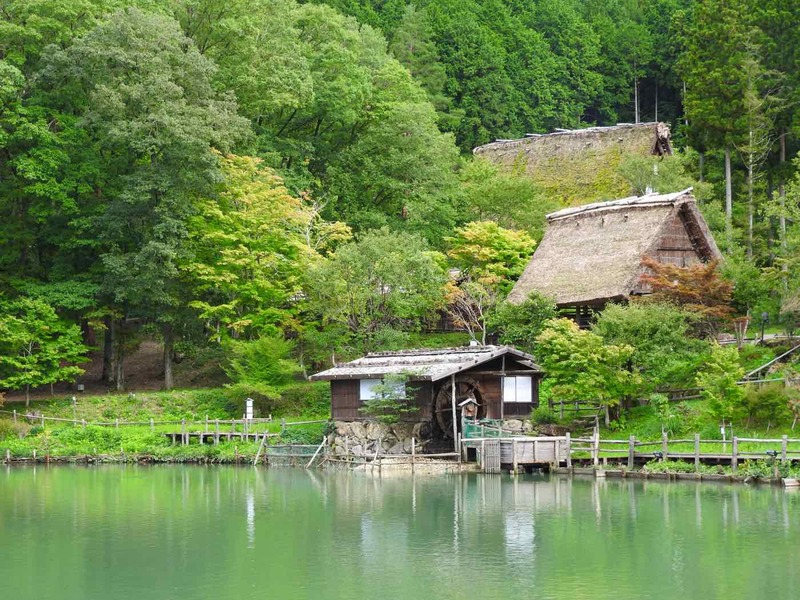 This pre-selection contains the best traditional ryokans with hot spring baths in the entire country. Across Japan, tattoos are strongly associated with criminal gangs like the Yakuza. Although this is (allegedly) changing with increasing tourism, foreigners with tattoos are not particularly welcomed by some. You can expect to be denied entry in some places, especially onsen (hot springs), saunas and pools. IC cards are prepaid rechargeable cards used to pay public transportation tickets but also work on convenience stores, vending machines and even game arcades (!). Each city has its own card and in Tokyo it’s called Suica card. It has a cute little penguin on it. They also work in vending machines, convenience stores, and even some shops and restaurants, making it an effective debit card. 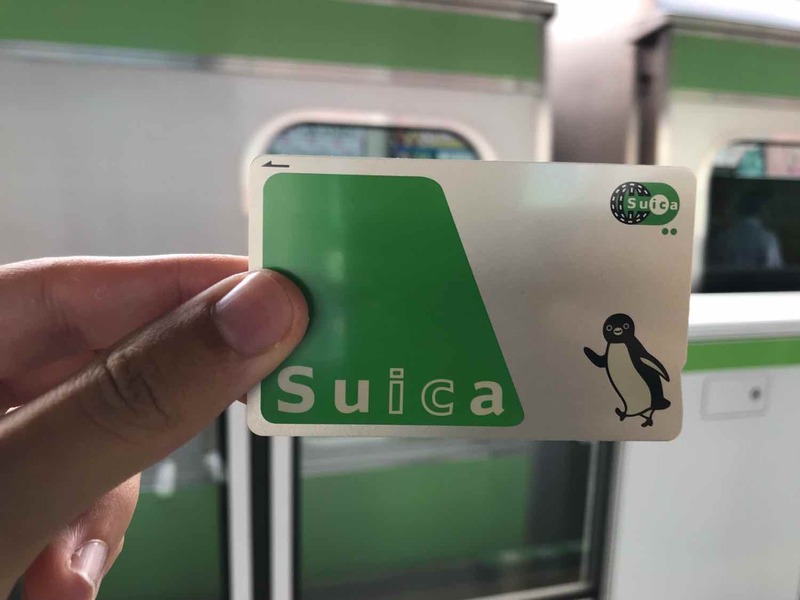 If you’re traveling across Japan you can use your Suica card in other cities too. In 2013, the different systems were made compatible so you can use it as an additional debit card to pay for your travels. If you have an iPhone 8 or superior, it works on your Apple Wallet! You can buy an IC Card at any major train or metro station in Japan. I got mine from the automated ticketing machines, which support English language. Once you have preloaded money onto your IC Card, the card works with a simple tap. In train stations, you’ll have to do it on the ticket gates on both the way in and out (fares are not fixed and depend on the length of the journey). You can check the remaining balance on your card as you pass through the gate. When leaving Japan, you can bring your IC card to a station attendant, who can return you ¥500 deposit and the remaining balance on your card. In vending machines and shops, you’ll need to tap it just like any contactless bank card. 16You won’t hear a no as an answer. Keep this in mind when you ask something – look out for clues on nonsensical behavior or uneasy body language. Warning: the apparent beauty of cherry blossom season (hanami) comes with inflated prices. 17Almost any time is a good time to go. In case you’re still deciding when to go to Japan, rest assured every season has something to wonder about. 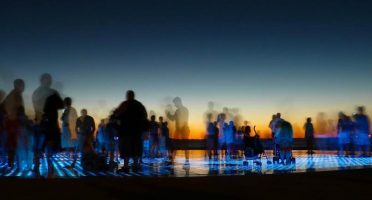 The weather will obviously depend on where you’re going – the southern islands of Okinawa are very different from the northern tip of Hokkaido – but there’s a lot to see and do no matter when you go. 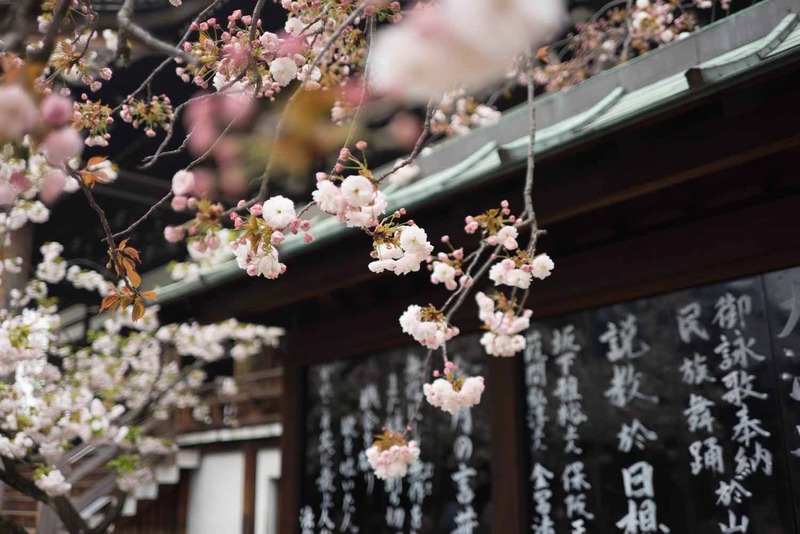 Spring (March-June): a magical season in Japan where flowers bloom and weather is neither too hot or cold. Prices can be (crazily) inflated in hanami season, when everyone goes crazy for the cherry blossoms all around the country. Summer (June-September): brings out the hot sunny weather and the green foliage. Mount Fuji is open for hiking. Fall (September-December): foliage acquires all sorts of colors of the rainbow. During this season, Kyoto is especially beautiful. Winter (December-March): snow covers the highest lands, but in Tokyo there’s minimal rain and snow. Best time to visit the snow monkeys in Jigokudani. 18Grab some food in an izakaya. Work culture is intense in Japan. It’s common for people – particularly men – to devote their time, sweat and tears to their company, even more than to their families. And this doesn’t stop at 6. After work or even during weekends, they head to an izakaya, sort of a Japanese version of a gastropub, to drink and grab something to eat. You can visit one of these tiny and cozy places too and have small dishes like yakitori made in front of you. Omoide Yokocho – this narrow alley near Shinjuku station is very popular amongst tourists. Ameyoko/Ameya Yokocho – located near Ueno station, it’s an open-air market style. Yurakucho – many cheap izakaya places right under the railway. Japan is not only about tall skyscrapers and modern gadgets. 19Venture out of the cities to find amazing nature. When we think of Japan we normally think of futuristic tech, Blade Runner alleys, and massive skyscrapers. That certainly corresponds to the reality of the big cities. What you might not be aware of is that 2/3 of the country is covered in forest. Nature – at least an orderly version of it – is highly appreciated and if you venture out a bit into remote Japan, you’ll find incredible waterfalls, monkeys, lakes, hiking trails, bears, and mountains. Japanese people are extremely polite – that’s one of the foundations of their society – and bowing is the way to show respect when you meet someone. But this gets complex when you realize there are different types of bows depending on who you’re greeting. 90-degree bow (long): usually reserved for high authorities, like the CEO of a company or a president. However, if you don’t feel confident to control this bowing technique, don’t worry. Japanese people are understanding and most likely you’ll get some chuckles. 21The best ramen of your life is here. I’m not the biggest fan of ramen, but if I had to describe it in Japan it would be: OH MY GAWD. 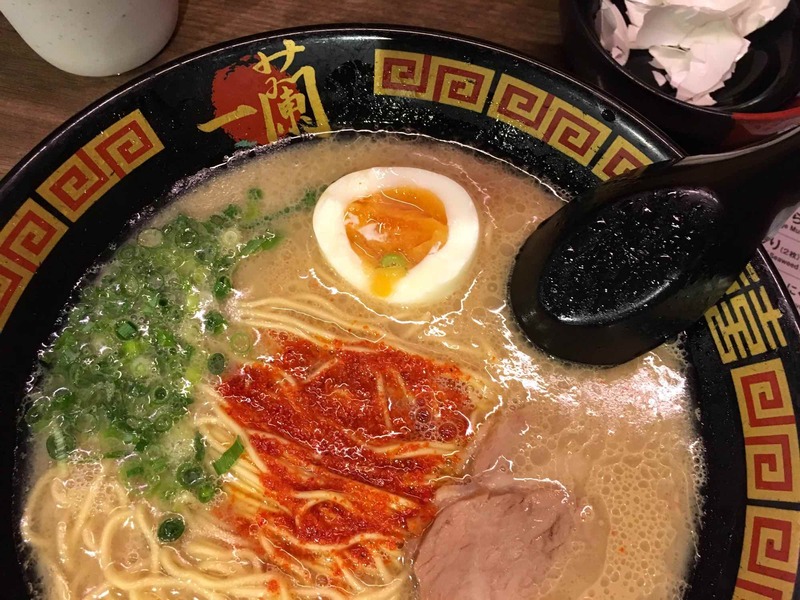 The depth of flavor of ramen in Japan is unlike anything I’ve tasted before and now I get why it’s considered to be the ultimate comfort food. There are over 200,000 (!) ramen places across Japan and every single one of them is perfect to go for dinner after a cold day traveling around. 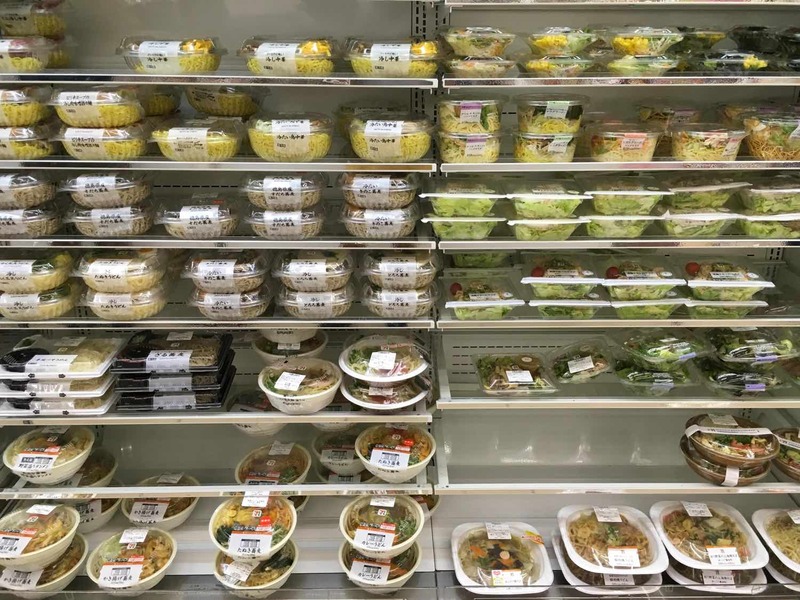 It’s a hearty and very affordable meal – very rarely surpassing 1000 yen per bowl. I could recommend many different places to eat ramen in Japan, but from an experience perspective, try Ichiran. It’s a chain present in Kyoto, Fukuoka, Tokyo, and apparently New York City and Hong Kong too! 22A Japan trip won’t necessarily break your budget. A top concern for many travelers going to Japan: the budget. Well, I have to say I was surprised with how inexpensive it can be! Entrance fees to attractions are rarely prohibitive. Passes can reduce the cost of public transportation. For every expensive restaurant, there are 10 low-cost ramen and ikazaya spots. And for the ultra-budget traveler, food in convenience stores is actually much better than you think. Accommodation will likely take the biggest chunk of your budget, but there are workarounds in that department too. Guesthouses with futon beds are cheaper and the unique capsule hotels are all across Japan. The latter can be a problem for the more claustrophobic, but with TV, earbuds, air conditioning and a full kit with PJs, toothbrush, towels, and slippers, it can actually be a very comfy night. I stayed in a capsule hotel in Tokyo and turned out to be a fun and memorable experience for under $30/night. Highly recommend it! 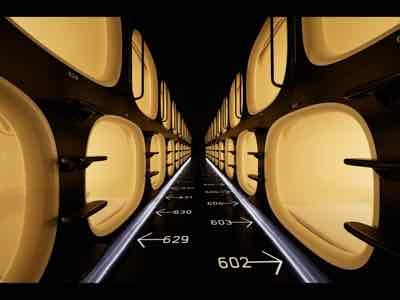 More than a budget saver, staying in a capsule hotel is an experience. 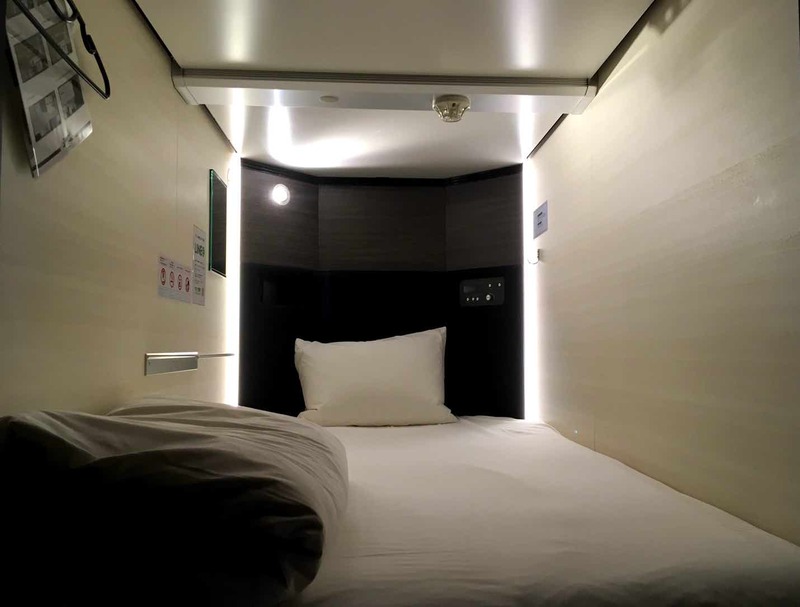 The best capsule hotel experiences in Japan are in this list. 23Learn the basic etiquette and customs. I can’t stress how important politeness and an orderly way of behaving is to Japanese people. And this is only the tip of the iceberg as regards to their fascinating unique culture. If you wish to know more, I recommend reading a book. 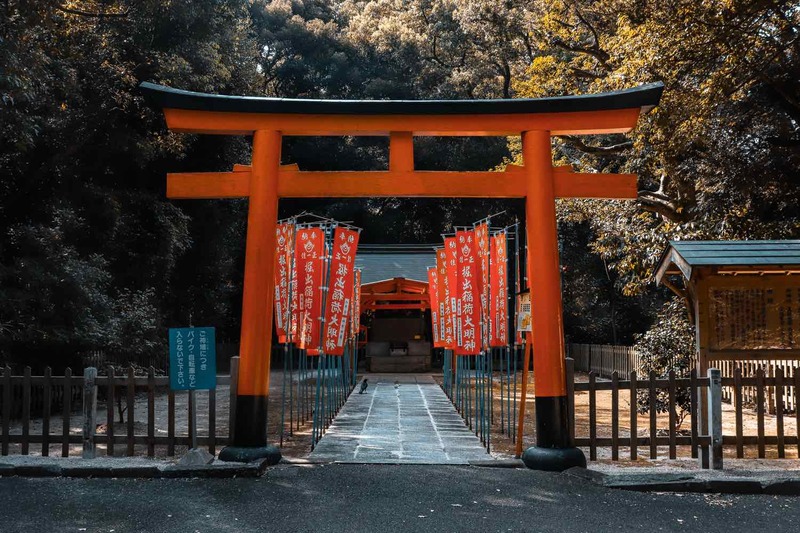 I devoured Hitching Rides With Buddha and A Geek In Japan – both written by expats in the country – during my trip and it definitely helped to gain a lot of insider knowledge on Japanese culture. Some parts of Shinjuku look straight out of sci-fi movies. … but efficient. 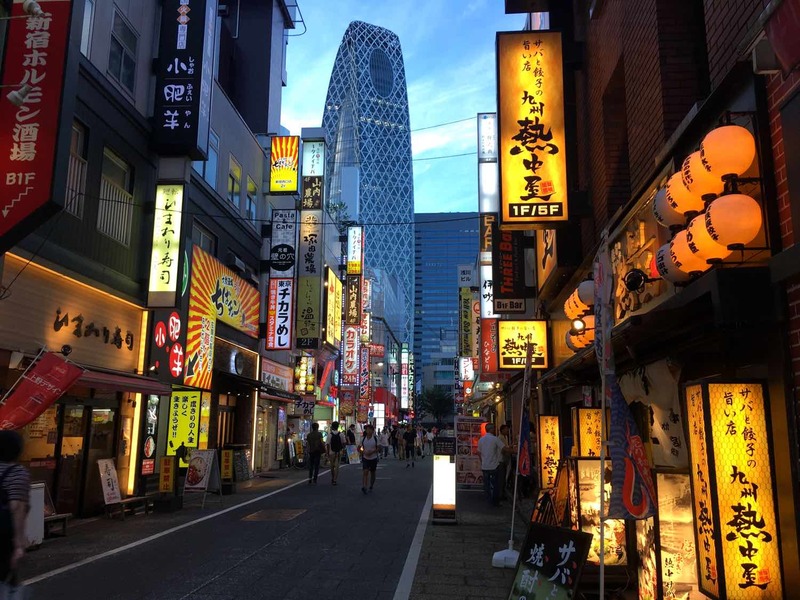 Despite being the largest and more populous city in the world, Tokyo is so well connected that it doesn’t feel that big. The train network is excellent, led by the circle JR Yamamote Line which stops at every main area of the city. Masses move quickly and everything is designed to flow as efficient as possible. So make sure you go with that flow. When awaiting your train, queue up next to one of the doors. Check which carriage it’s closer to the exit you want to take. When riding escalators, stand on the right (except in Osaka where for some reason you should stand on the left). I used Citymapper to help me get around. Bottom line is don’t even think about renting a car in Tokyo, it’s not needed at all. 25You can get away with English. Even though it won’t look like it, Japanese are good in English. They can understand almost anything you say, but they’re usually too shy to answer back because their domain of the language is not perfect. To increase your chances of getting an answer, smile, be polite and speak slowly. That said, the above is true for big cities like Kyoto, Tokyo, and Osaka, where it’s common to find menu and signs in English. If you explore other more remote areas of the country, don’t be surprised by the lack of any translations in signs and menus. This is where the next tip becomes even more important. 26Learn some basic Japanese words. Regardless of where you go, I always suggest learning a few words in the local language when you travel. It’s fun and it can really go a long way! In a country where respect and etiquette are so important, learning some Japanese is even more important. It may be overwhelming at first to look at the symbols, but the good thing about Japanese is that sounds exactly the way it’s written in Rōmaji (Latin alphabet version).  No – いいえ (iie) – hardly used. I consider myself to have a strong sense of direction and I rarely get lost. Still, I’ve got lost several times in the underground malls in both Tokyo and Osaka. They link each subway station to the next via DOZENS of restaurants, shops, and different exits to the surface. Department stores are another world to explore. Even if you’re not in the mood for a shopping spree, head to the ground floor or basement – depachika – to find very good quality restaurants at affordable prices. Easy meals for those in a budget. 28You can get templed out. 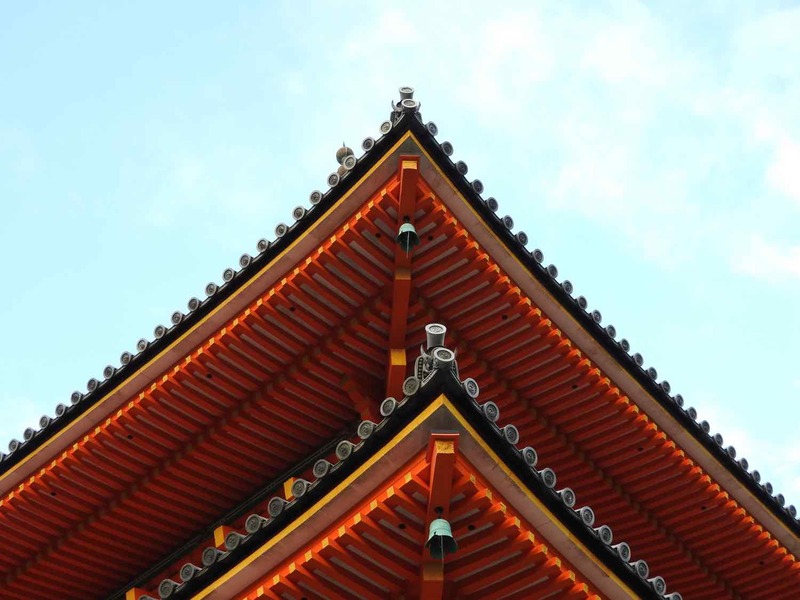 Despite being architectural wonders and spiritual landmarks, Japanese temples and shrines are like churches and cathedrals in Europe – after a while, they will all start to look the same. If you don’t know anything about Buddhism, all the statues, shrines, and temples will look dull. But I don’t want to sound too uncultured, so I will also say that it depends on your knowledge of Japanese culture and religion. Once you dig into it a bit – more than travel guides, I recommend reading a book! – visiting a temple will be fascinating and the longer it will take to get bored. 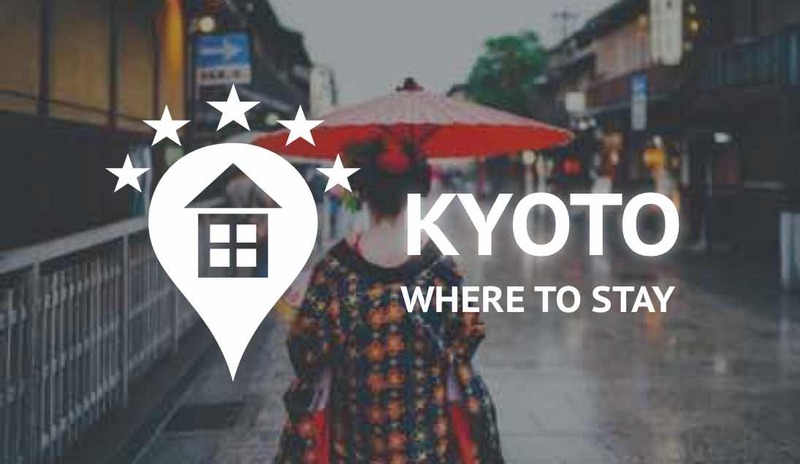 For standard travelers though and especially in Japan’s ancient capital, Kyoto – which alone has over 1,600 temples – it’s easy to get “templed out” so study the places to visit beforehand. Japan is one of the safest countries in the world, where people go out of their way to avoid any kind of conflict or upset. It’s one of those places you can leave your laptop or phone on the table when you’re going to the WC. Stemming from Shinto beliefs, Japanese people believe physical objects carry a part of the spirit of the owner, so they don’t have much interest in stealing it from you. The country is so safe we, as travelers, face the opposite problem: for locals, every gaijin (foreigner) can potentially be dangerous! There’s a barrier to overcome before Japanese trust a foreigner completely. Despite the reassuring safety standards, do not let your guard down completely: common sense still applies here. Always stay aware of your belongings and avoid dark streets at night if you’re alone. 30Make use of luggage forwarding services. One thing you’ll quickly understand in Japan is that for every problem there is a solution. So for instance, if you decide to bring one of those massive bags or trolleys, let me tell you it won’t be easy to navigate the public transportation system. That’s why they invented Yamato. This luggage-forwarding service available at many hotels or convenience stores (again, mega convenient) works like a parcel delivery, taking your bags to another hotel or city in Japan. It’s not that expensive and can save you a lot of hassle. An alternative is the train station lockers (that I used a lot). For about 500-700 yen/day, you can store a large bag. These were particularly useful when we had to check-out in the morning but didn’t want to carry our luggage for the rest of the day. 31Japanese gardens are something else. The best compliment I can give gardens in Japan is that every garden I go seems like a subpar experience now. But you must be wondering – what the heck, aren’t gardens in the world all the same? No. 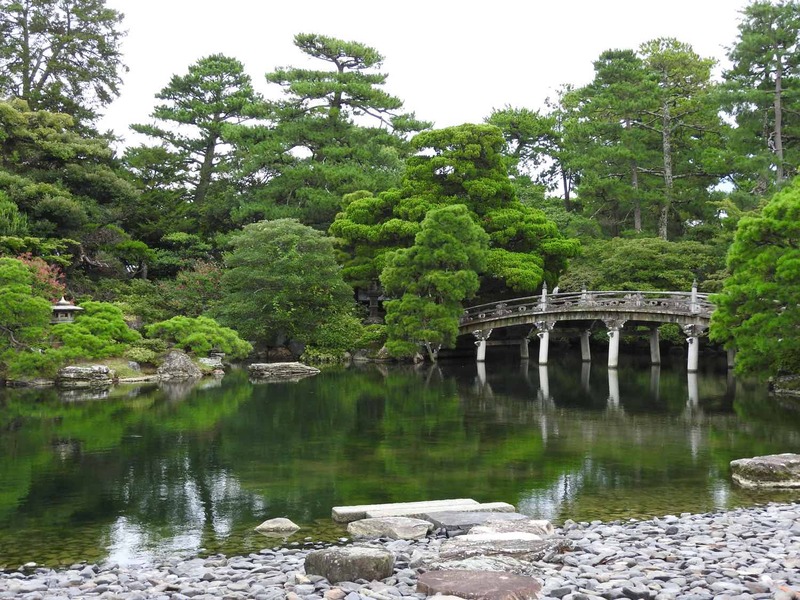 Japanese gardens are planned thoroughly from the start and need to follow 6 features to produce true beauty. These are grouped into contrasting pairs: spaciousness & seclusion, artifice & antiquity, water flow & panorama. And the truth is that there’s a zen feeling when you visit a Japanese garden. No rock is out of place. Everything makes sense and is beautiful from every angle or perspective. 32Get lost in a 100-yen store. One of the most fun and budget-friendly activities you can do on a gloomy day. Head to a 100-yen store where – you’ve guessed it – everything costs 100 yen! It’s a golden opportunity to dive in into the wackiest products you can think of, as well as cute souvenirs or interesting items for a bargain. Amongst the absolutely random items I’ve bought there is a couple of miso soup bowls there, some insoles for my sports shoes, and pairs of chopsticks with intricate designs. 33Think twice before going to an animal café. Full disclosure here: I have been to animal cafés (what can I say, I have a sweet spot for cats). In Japan this is very tempting as you can find cafés with many different animals – owls, porcupines, bunnies and even otters! However, most of these places are authentic petting zoos where the animals are constantly being picked up for selfies or even drugged to behave. Do your research beforehand, and check if they comply with animal well-being guidelines. If the animals are up for adoption it’s usually a good sign. Capsule hotels are tiny, but big budget helpers. 34Going to the toilet is a life-changing experience. Germophobics will like this one. Public toilets can be a nightmare for some in the West… but not in Japan. Japanese people take cleanliness very seriously anywhere so toilets are as germ-free and comfortable as you never seen before. Oh and expect technology too. Even in the tiniest restaurants of the more remote places, expect a keypad with different functions. From seat heating to extra sounds for privacy (usually ambiance music or waterfalls). Note: in some (rare) bathrooms the toilet paper has to be purchased from a vending machine before you go in. Which other Japan travel tips do you think are important and that a traveler should know?